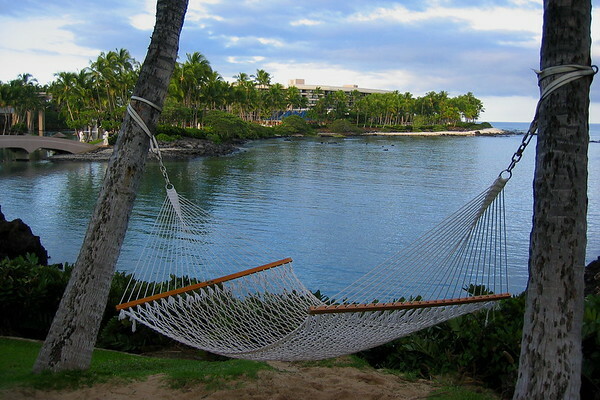 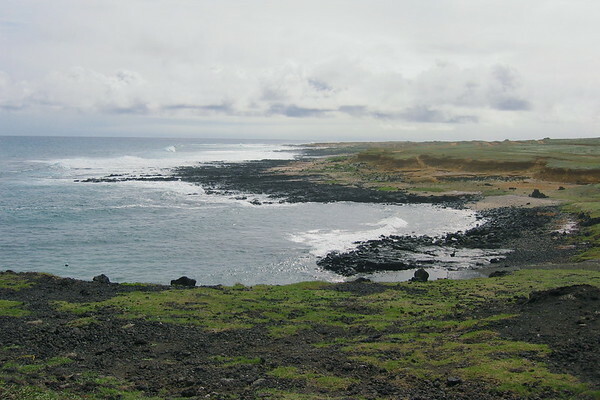 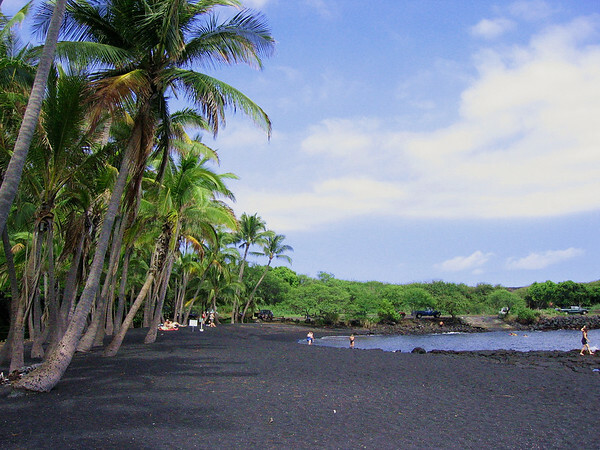 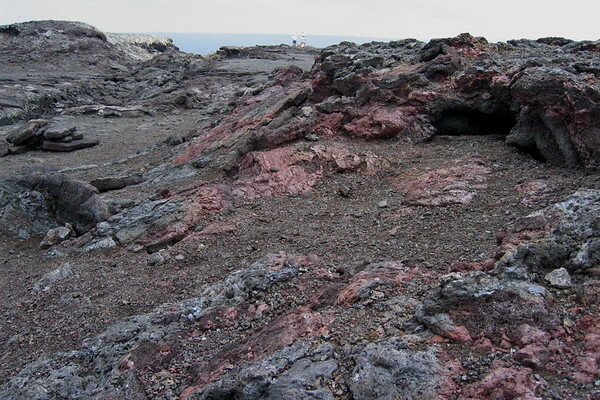 Don't expect clouds here, The Kohala coast of the Big Island of Hawaii is pretty much a dry desert of lava rock on the leeward side of the island. 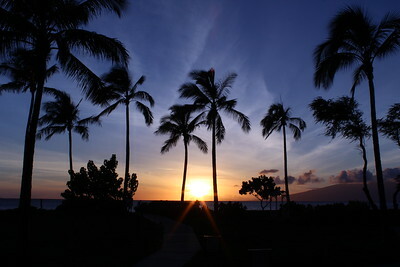 Expect very warm temperatures and constant sunshine. 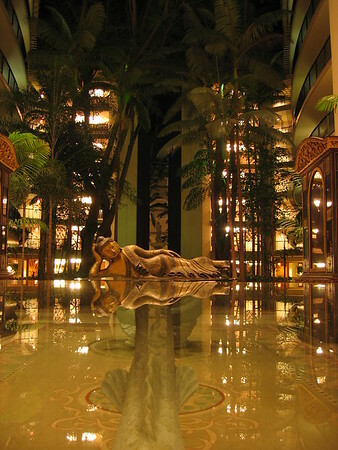 This mega-sized resort will give you a nice walking workout (unless your lazy enough to wait for the train). 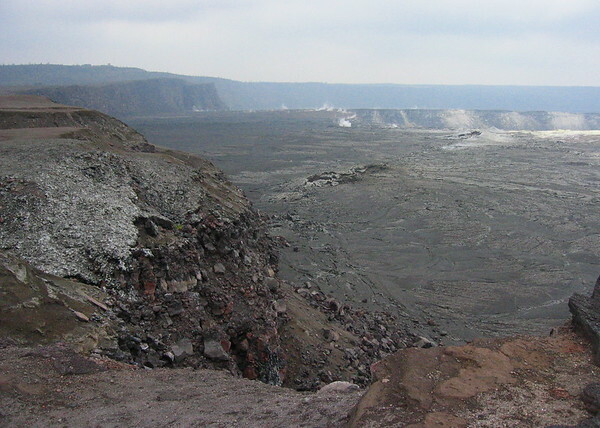 Gas and steam as well as the smell of sulfur in ever present throughout the Kilauea Caldera. 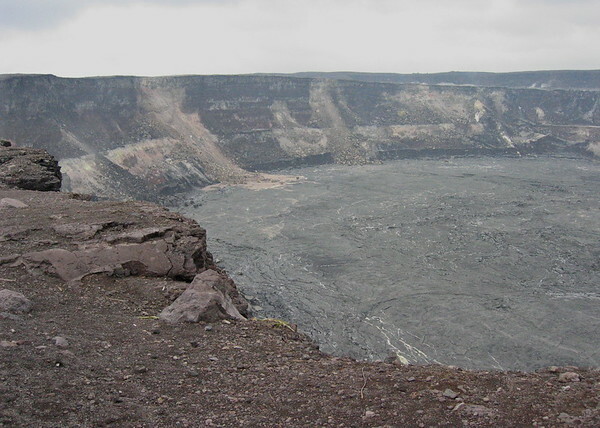 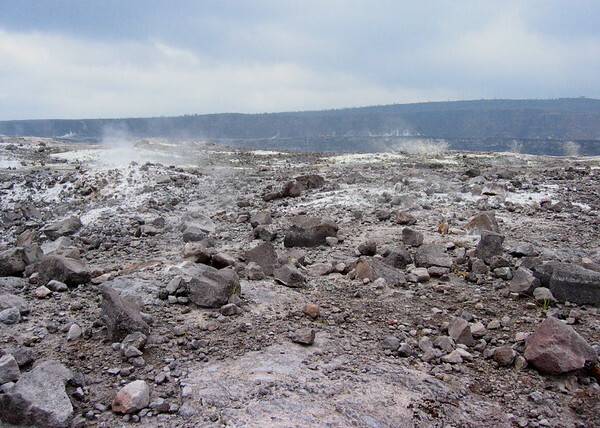 This side of the Caldera has recently closed due to significant eruptions of gas and steam. 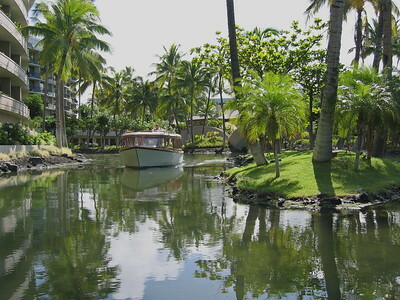 A boat ferry transports hotel guests throughout the resort. 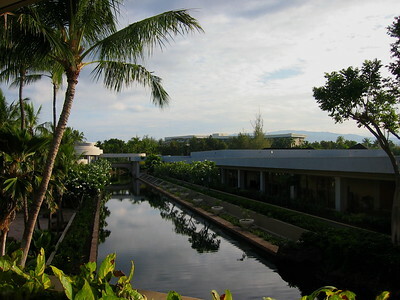 The resort is so expansive that it has a ferry canal and a light rail type shuttle to bring guests from the main lobby to the many tower complexes in the resort. 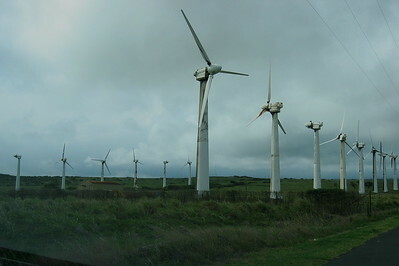 A wind farm that looks like it's seen better days. 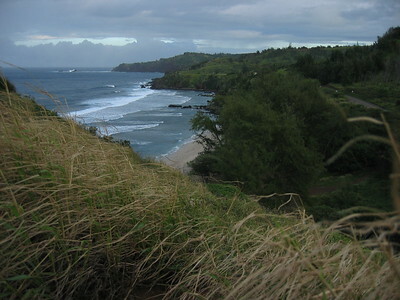 The extreme angle some of the vegetation in this area shows how windy this part of the Big Island can get. 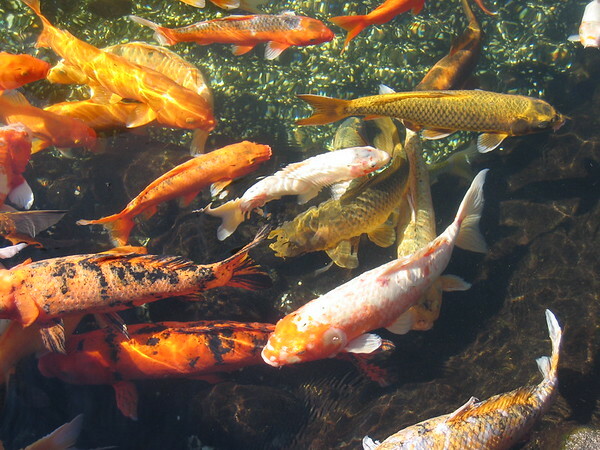 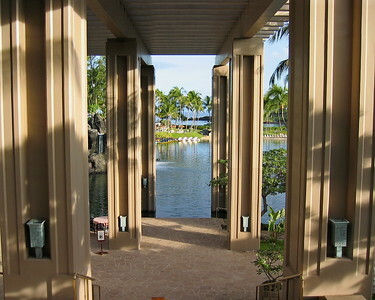 Feel like walking to your room instead of using the canal boat or the light rail shuttle. 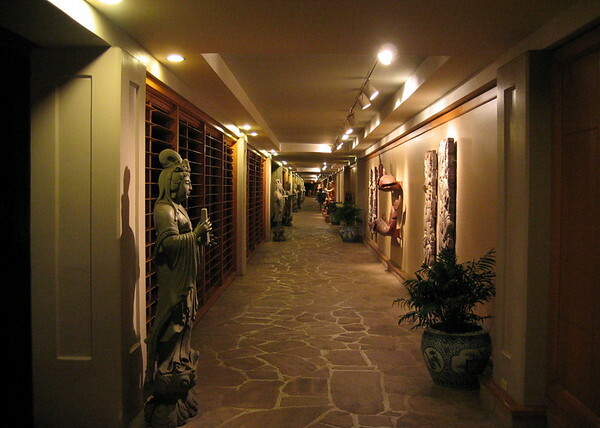 The long walkways from the lobby to the guest towers have plenty of art work. 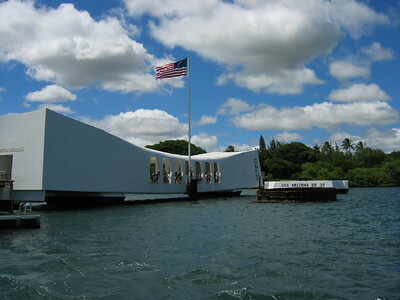 The USS Arizona Memorial as a reminder of the attack on Pearl Harbor that thrusted the United States into World War 2. 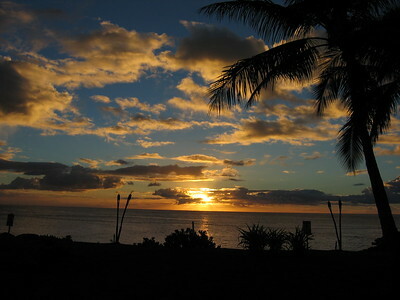 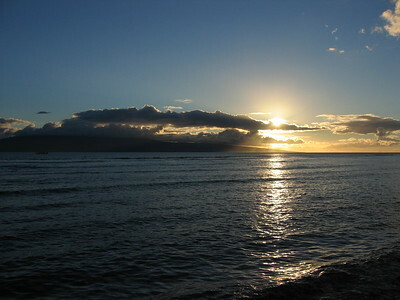 Sunset from western Oahu, west of Ewa Beach. 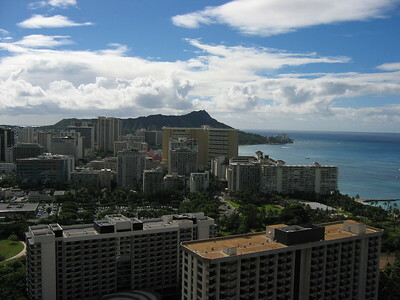 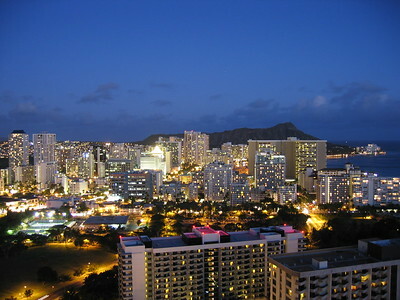 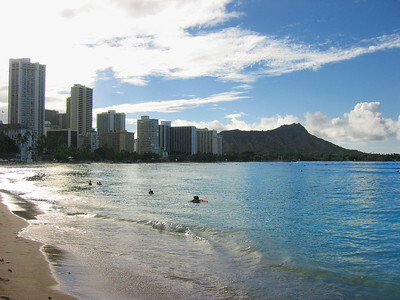 The Waikiki skyline at night with Diamond head in the background. 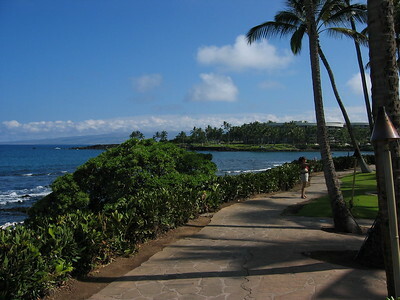 Beyond the end of the main highway at Kapalua. 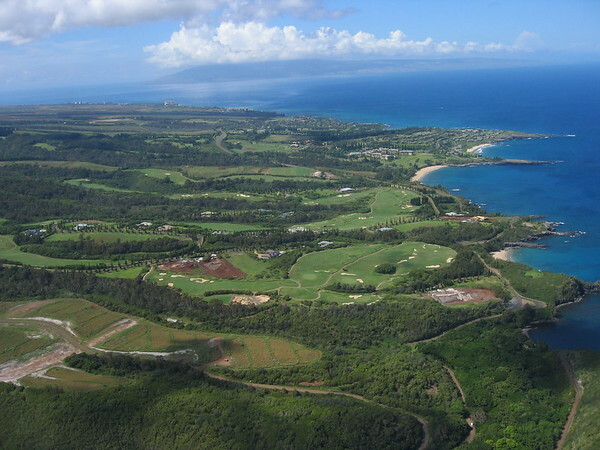 If you drive a rental car, make sure you don't go too much further. 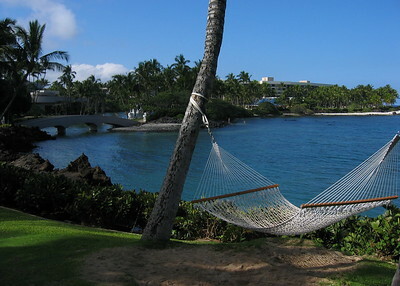 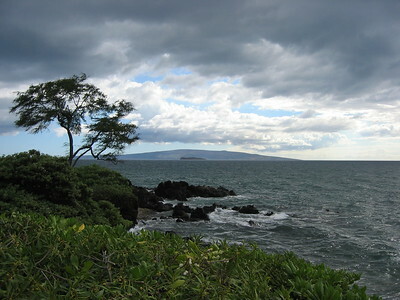 The beach shore at Wailea with West Maui in the background. 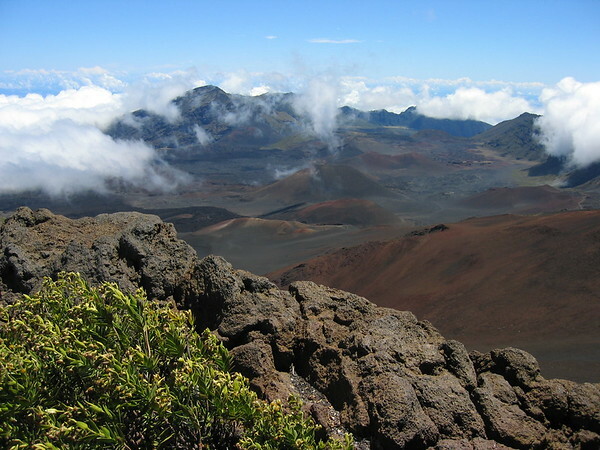 The peaks on West Maui may look a little dark due to a brush fire that blanketed that area. 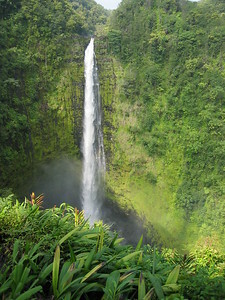 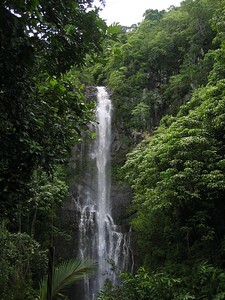 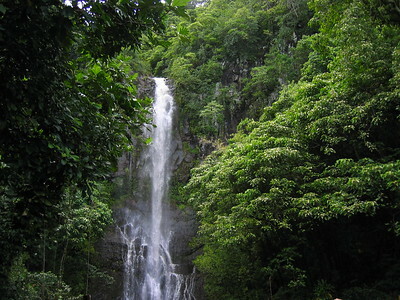 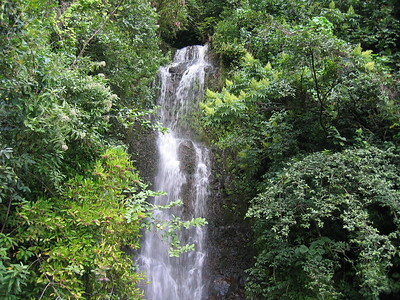 Wailua Falls is probably one of the best waterfalls right next to the Road to Hana. 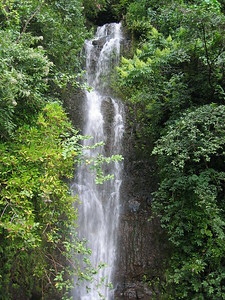 Years ago when this photo was taken, I remembered that almost every narrow bridge had a waterfall next to it when the road make a sharp turn into the narrow canyons which was probably due to the rain storm that recently passed by. 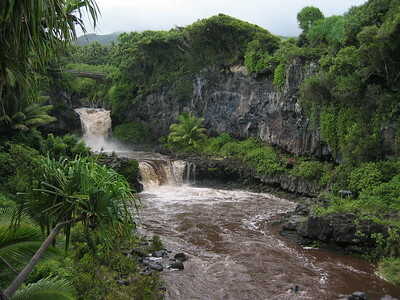 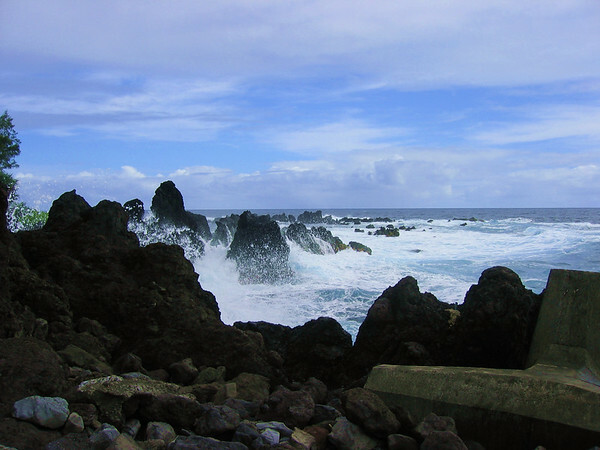 This is supposed to be the famous Seven Sacred Pools at the end of the road to Hana. 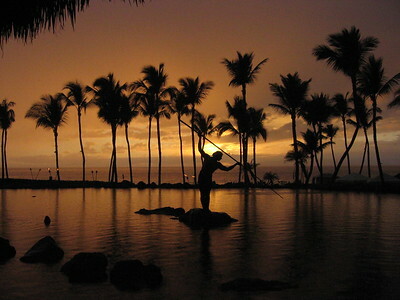 Ok, so right now you don't necessarily see 7 pools because a storm recently passed by the island and did this. 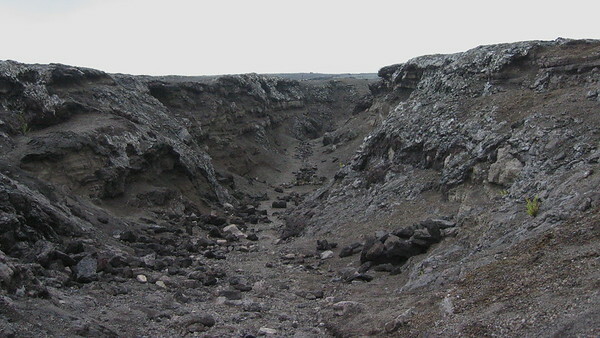 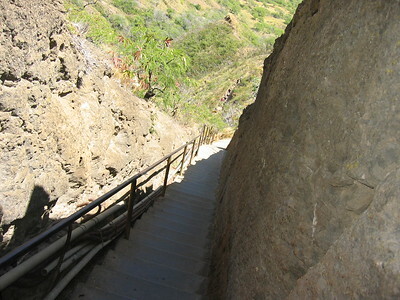 Normally, the Oheo Gulch looks like this. 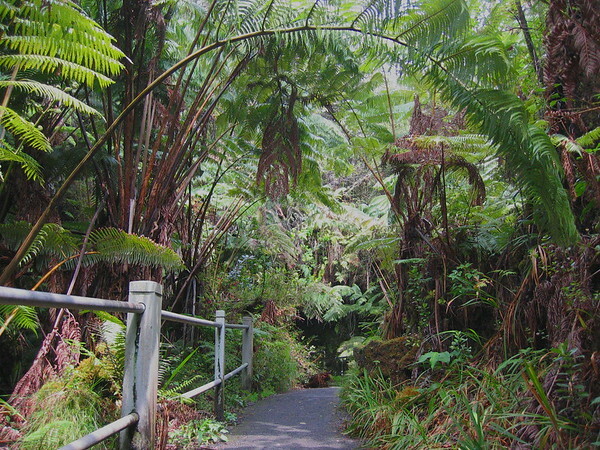 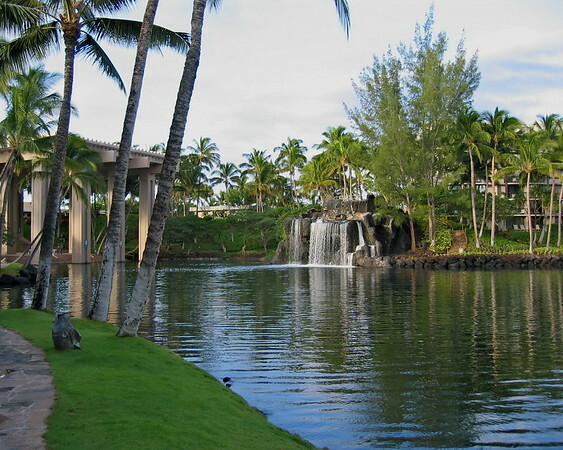 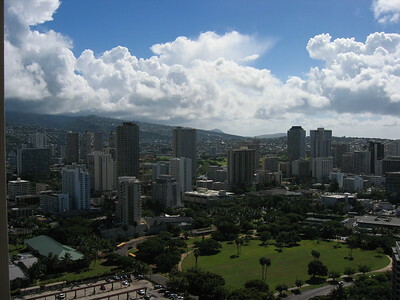 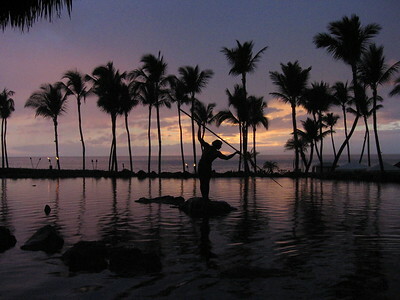 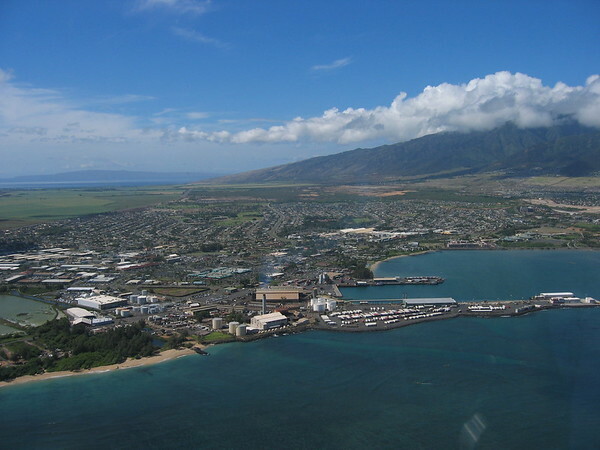 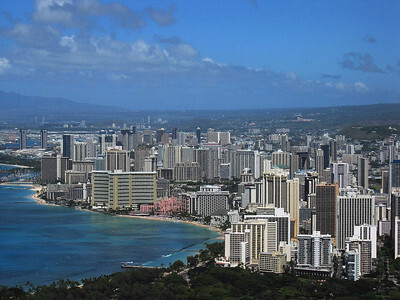 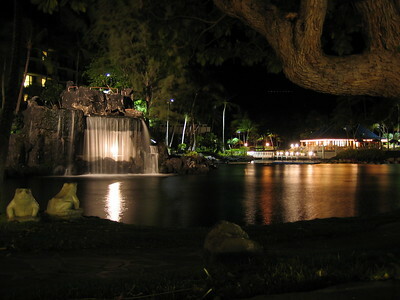 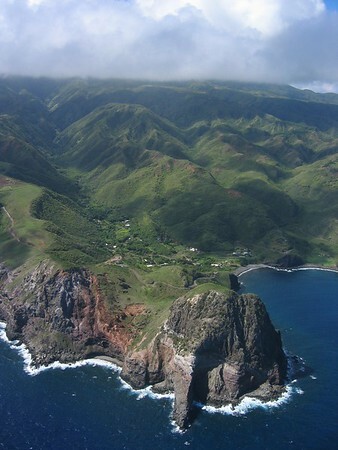 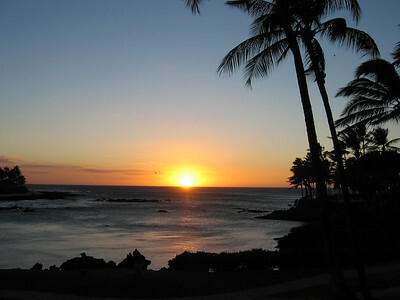 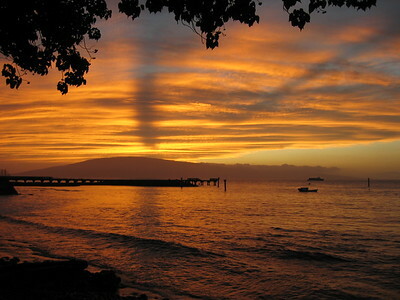 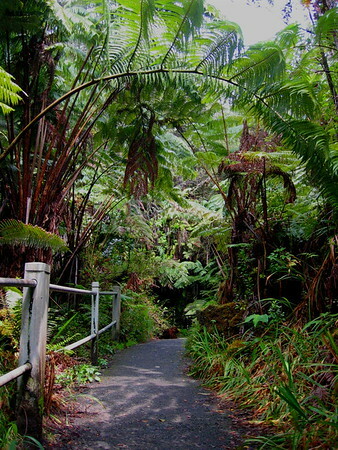 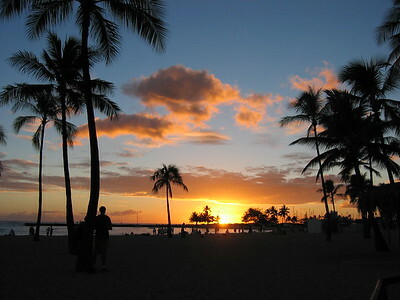 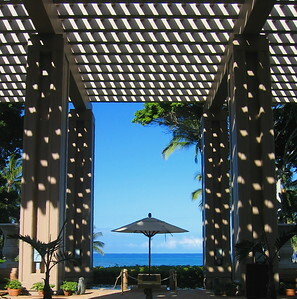 Kahuilui is the largest city on Maui and is home to most of Maui's residents. 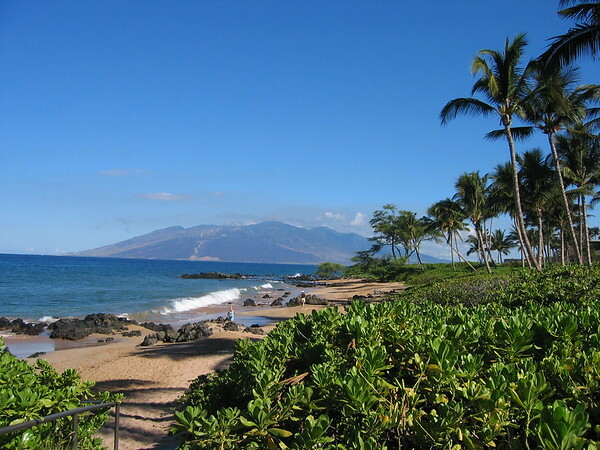 The island's main airport is also here but this part of Maui is not aimed for luxurious tourism but has a reflection of the local population.